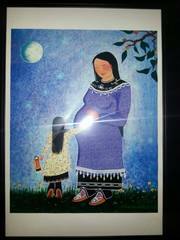 A virtual gathering place to learn about pregnancy, birth and early parenting from Anishinaabe community members, birth workers and keepers of First Nations traditional knowledge about birth. All Our Babies is a virtual gathering place to learn about pregnancy, birth and early parenting. Guests will include Anishinaabe community members, birth workers and keepers of First Nations traditional knowledge around birth. This biweekly show is hosted by Kristen Tharaldson. Second part of this Episode. Part two of Shannon's home birth will air in March. Pati Garcia AKA Chula Doula : E3P1 A day in the life of a traditional midwifery student.